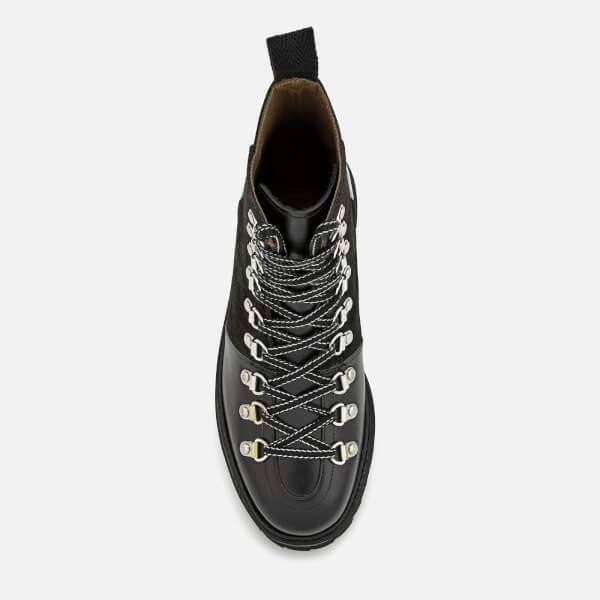 Women's leather hiking boots from Grenson. 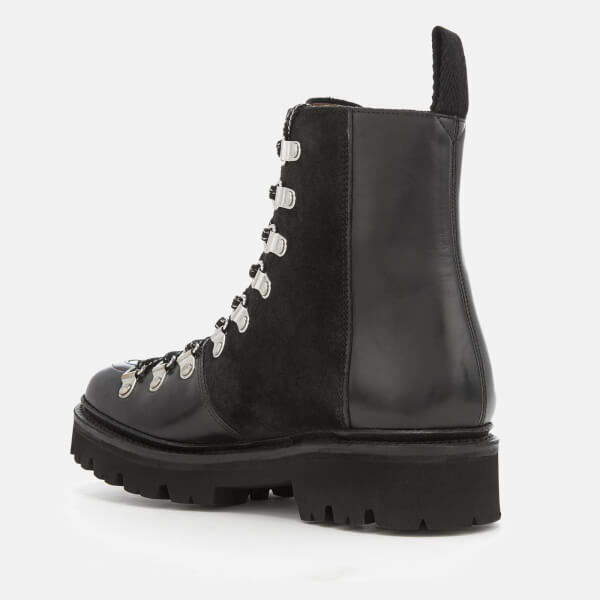 Built on the brand's 631 last, the 'Nanette' lace-up boots combine smooth Colorado leather with tonal suede panels to form a sleek upper. 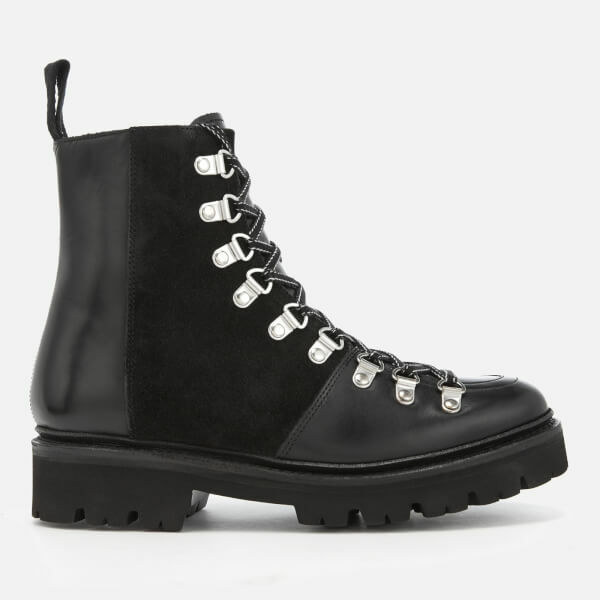 Designed with a rounded toe, cross-over laces and a fabric pull loop for easy entry. 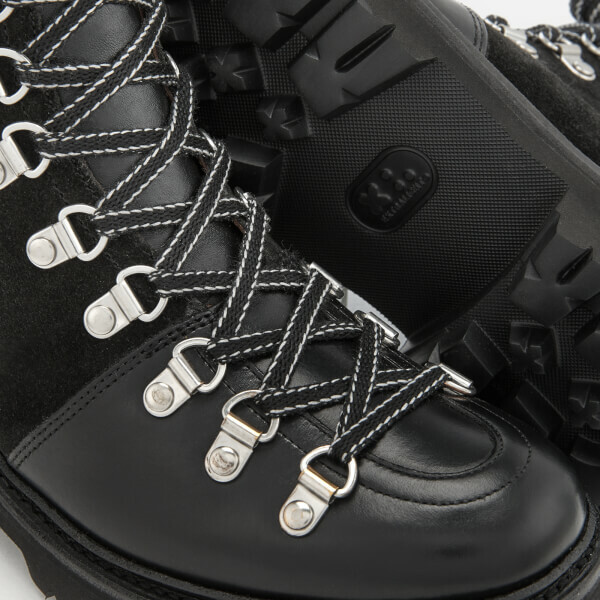 The ski boots are set upon a chunky yet lightweight, Goodyear Welted commando sole for optimum grip and durability. Tan leather lining. Upper: Suede/Leather. Lining: Leather. Sole: Rubber.